24 British Infantry (plus ten to finish). 32 Unmarried Zulus + leader (built and undercoated). 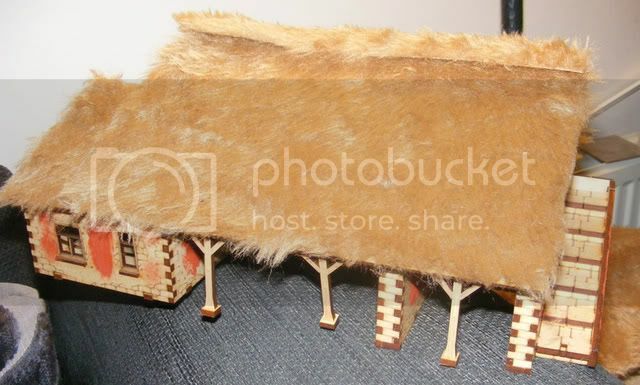 64 Married Zulus + 2 characters (still in boxes). Both main buildings, built but still in the process of texturing them up before undercoating and painting. I don't think that I'm ever going to finish this project! Why it has been quiet and there's been no Zulu based updates . . . . . . Anyway, if this works then there's a few (of the 100s) of the shots that I took at Volunteer Point by way of explanation for my lack of blogging over the last couple of weeks. That and the fact that I couldn't seem to access this site from the wrong side of the equator! Alas progress continues to be slow as I continue to be forced to work for the "living" that pays for my miniatures habit. The MDF bases that I ordered some weeks ago arrived today. They are of very good quality, equal to the fine produce of Renedra in my humble opinion but slightly cheaper. I spent a long time thinking about how I would base my Anglo-Zulu chaps and eventually decided that for Rorkes Drift I would actually mix the bases up a little. 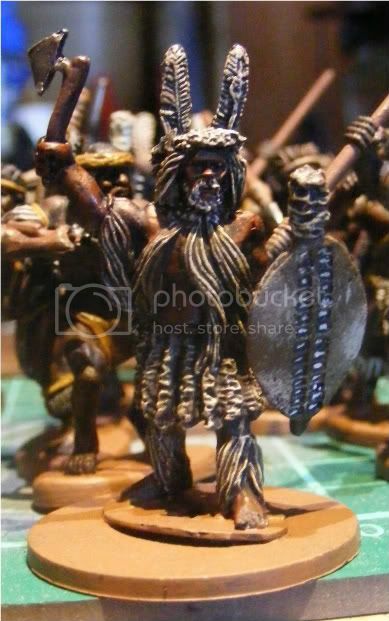 I am planning to use the Black Powder rules that Warlord publish but would like to have the flexibility to use other rules if I so desire or the chaps from the club make me :) As such I've gone for square bases with four zulus on each with a goodly number of single bases scattered amongst them for good measure. Anyway, the last dregs of my current bottle of PVA were deployed to stick these chaps onto bases which will need a good couple of days worth of work to get them all textured and looking acceptable if not nice. 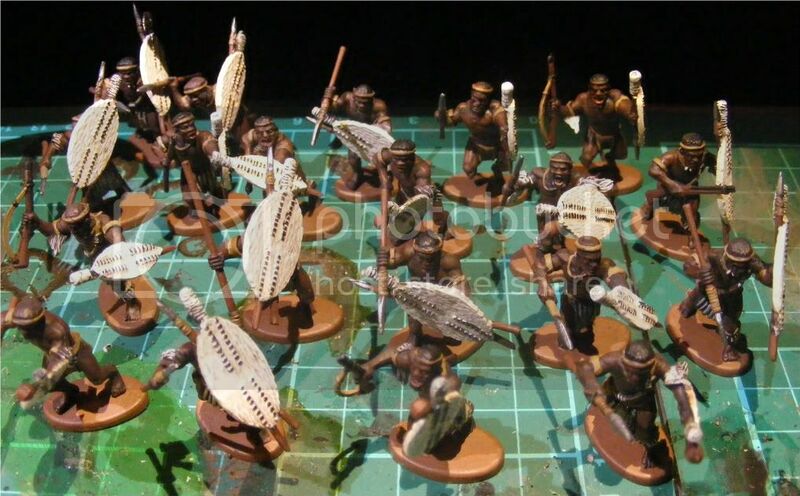 It seems like I've been painting Zulus for an age and yet it seems that I really haven't produced much yet. Work is back up to its usual tricks of keeping me away from the paint station. However, over the weekend I did manage to get time to assemble the buildings from the set. I was most impressed by the quality and how it all went together. The instructions were okay, not brilliant but good enough. The only real snag was that a sprue was missing from my set. It was only a little sprue containing a small piece of roof and a ladder. I emailed Warlord on Sunday and the missing part arrived today. You really can't ask for better customer service than that! Well the "opus" continues to prove to be of almost Biblical proportions! I have spent much more of this period of leave doing things other than painting than I planned to. It does mean that I sit here on my final day of leave a lot less stressed than I was a few days ago. However, it also means that the project is taking a lot longer than originally planned. Over the last couple of days I have painted one Induna for the unmarried Zulus that I finished last week. He actually has the wrong shield pattern as I only read up on the significance of shield colour for Zulu regiments last night. As such he will eventually be the Induna for the 2nd unmarried Zulu regiment that I will be making and painting as soon as I get to them! I've also nearly finished the first ten married zulus. The first ten of forty that is!